 Capitalizing on an annual forum to showcase young investigators, the prestigious National Academy of Sciences is publishing science-writer versions of ``frontier'' research in 10 fields ranging from particle physics to AIDS. The writers are seasoned pros--prize-winning book or magazine authors and editors or correspondents for science journals. Frequently they also hold degrees--e.g., in engineering (T.A. Heppenheimer) or geology (Elizabeth Maggio) or physics (Marcia Bartusiak). Should be a winning combination, no? Not entirely, for a couple of reasons: Sometimes the writing is pitched too high for the general reader (Scientific American is clearly the model). Sometimes it is the nature of the subject: Fourier analysis and Fourier transforms are wondrous things of beauty in mathematics, but their extension to signal processing and wavelet analysis may leave the reader who has only elementary familiarity with sine and cosine curves floundering. Finally, the very frontier under discussion is frustrating: Do we really need to know, thanks to many space probes and samplings, that, ``no matter which hypothesis you mention, Venus maddeningly seems to offer both support and contradiction''? Having said that, let us acknowledge praiseworthy chapters. 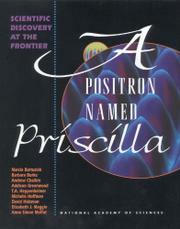 Certainly the title piece: It is all about the scanning tunneling microscope that allows investigators to trap and photograph atoms and elementary particles--Priscilla the positron for one. That same instrument has revealed the charms of fullerenes--the new soccer-ball shaped form of carbon (named after Buckminster Fuller's geodesic domes) that Science named Molecule of the Year in 1991. Finally, the chapter on AIDS offers one of the clearest expositions on the nature of HIV and its insidious undermining of the immune system. Chapters on earthquake prediction, protein folding, DNA duplication, the search for the top quark, and the nature of the sun's deepest interior provide intriguing clues, if not the last roundup, on frontier science.